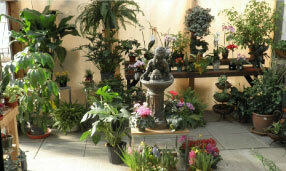 Houseplants add beauty to any home or office with intense shades of color and exceptional foliage. In addition to their ornamental functions, many houseplants offer health benefits. Peace Lily, Pothos, and several varieties of ivy and fern serve as air purifiers which can absorb harmful gases and clean the air in your space. 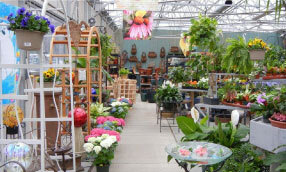 The spring and summer seasons bring many tropical foliage and blooming plants to our greenhouse including orchids, citrus, hibiscus, and succulent plants. While our large selection extends far beyond these staple items, we feature new houseplants weekly. So stop in and see what’s new!